Since 2018, we have been working with eight villages in the district to develop new Village Design Guides, funded by central government. The purpose of this project is to raise the quality of new planned development and support inclusive, sustainable growth. The new Village Design Guides will, once adopted, be material planning considerations as Supplementary Planning Documents (SPDs). The new Village Design Guides are now available for comment during a six week public consultation. Full details of the consultation, including drop-in exhibitions in each village, can be found below . In 2018 we secured funding from the Ministry of Housing, Communities and Local Government to develop 6-8 new-look Village Design Guides in a trailblazing collaboration with village communities. It has allowed us to fund expert design consultants to work with village representatives in developing effective, forward-looking guidance, breaking new ground in co-creating policy with local communities. A Village Design Guide describes the distinctive character of the village and sets out guidelines for how this should be enhanced by new developments. It helps communities and planners shape the character of new development in your area, in response to community priorities. 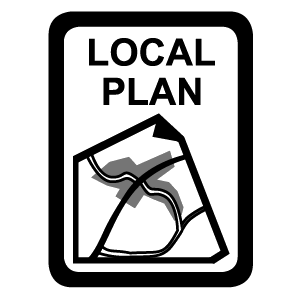 It is a way to provide more locally specific detail, which augments and amplifies our Local Plan policies. focused on the priorities of the village community, ensuring that the full diversity of community views are included. design focused – looking at how buildings, streets, spaces landscape and materials come together to create areas with distinctive identity and character. To enable more villages to produce Village Design Guides, we will be publishing a how-to guide and toolkit that will capture the learning from this pioneering pilot initiative. Please check back here for further updates. Note: Representations, including names, will be available to view on the Councils’ websites. Full representations including addresses will also be available to view on request. Our privacy notice for planning policy consultations and notifications sets out how your personal data will be used and by whom. Comments can be made between 9am on Monday 15 April and 5pm on Friday 31 May 2019. Response Form - this is available to download as a Word document to complete electronically and email to us or as a PDF to print and complete and post to us. Following the consultation, the comments received will be considered and amendments made to produce the final Village Design Guide SPDs. This will then be taken to committee at the Council for approval. The SPDs will be published on the Council’s website, and used to inform future planning decisions. Individuals and organisations can opt-in to receiving future mailings in relation to the Village Design Guide SPDs by logging in to the South Cambridgeshire District consultation database and choosing the ‘areas of interest’ that you would like future mailings about. When you log in, you will find the list of ‘areas of interest’ under ‘My Details’.